I returned from a week of traveling yesterday. Came home a day early, in fact, because the weather was becoming ‘treacherous’ according to the weather folks. Watching news reports and seeing friends announce on their social media pages, you’d think that this was calamitous. People en masse needed to brave the elements to get to the grocery store in case they were stuck in their house for days on end. I begin to pick up on the energy and get a little worried about whether or not I’d be able to feed my OWN family. After all, I’d been gone for a week. 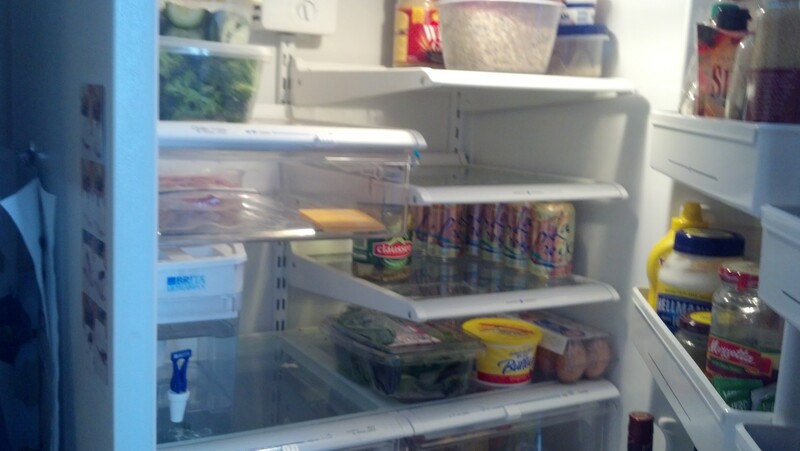 My refrigerator was almost completely empty with the exception of condiments and sparkling water. Some eggs and a few veggies that I had brought home with me. 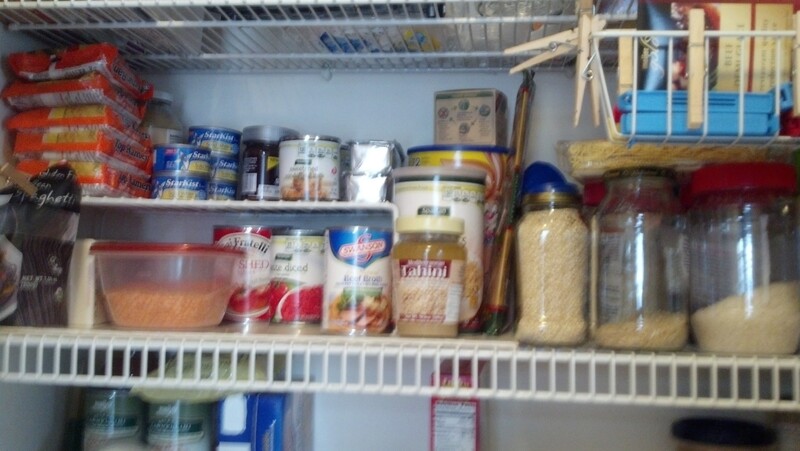 Wandering over to the pantry, I pulled out my inventory and began to look at my personal stores. How much food do I really have on hand? Will it be enough to meet my needs for my family? If so, for how long? I have a child, a fussy eater – how much complaining can I expect? I cleared an entire shelf so I could work through this exercise. 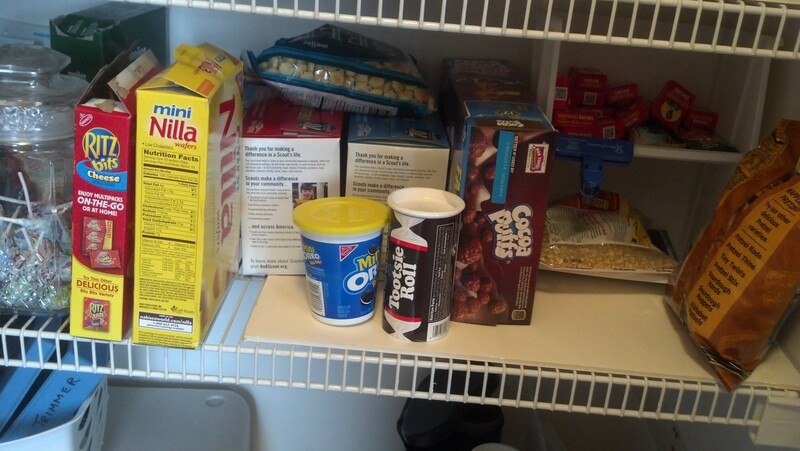 On that empty shelf, I began to group foods by meal. 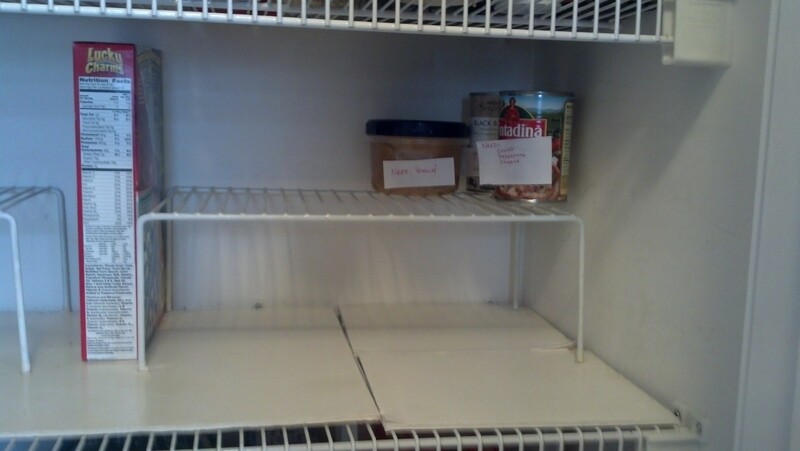 On the left, meals for which I currently have ALL necessary ingredients in house. On the right, meals for which I need to get a one or two items. If more than two items were going to be needed, I deemed the meal not quite a meal and put the extra components on a separate shelf. Fifteen (plus) meals. Plus because most of those fifteen will also produce left overs. Fifteen – without even leaving the house. Fifteen meals of the type that are in our normal meal arsenal – and a few that we haven’t had for awhile and probably miss eating. Fifteen without really trying. Another five if I run out to grab milk, tortilla shells, and cheese. Yes, just those three ingredients would give me another five (plus) meals (not counting cereal). 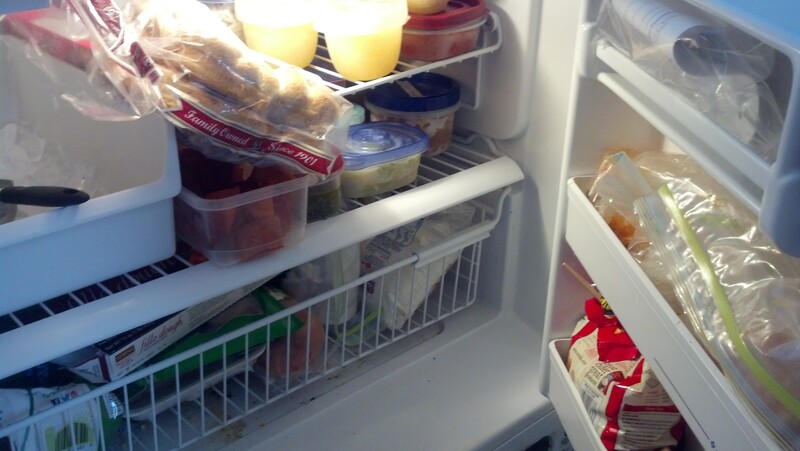 For those fifteen, I am NOT including the left overs already in my freezer. If I bring those into the equation, I have another six meals. I didn’t deep dive into the freezer or the chest freezer. What did this exercise teach me? The first thing I learned, or more correctly – had the opportunity to practice – was to stop, take a breath, stop allowing other people’s energy to affect me. Then assess the situation and which pieces are within my control. I also learned that one of the best investiments I ever made in myself was basic cooking classes. Techniques classes. Sure, many of us have been taught to cook by a mother, stepmother, grandmother, fathers, etc. But true technique can give you skills to make magic. I’ve been cooking for a long time, and cooking well, but last spring I took a series of technique classes that changed how I cook. I highly recommend this to anyone, everyone. Between the technical skills, the creativity, the planning, and the organization, I found that I am ready for this aspect of this type of small, short term ’emergencies.’ The web is full of sites that can teach us what we need to do to be more ready for this and other situations. Best of all, working through this exercise delayed my departure from the house long enough that the plow and salt trucks came through my neighborhood. With a big smile, I offer my gratitude to the Universe for that. Thank you Big U. What skills can you give yourself – today – that can make your life better in the long run? Down the road? Prepare you for an emergency, big or small? Left over components … not ready for meals yet.